Nowadays, most of our lives revolve around computer screens and smart phones. While modern conveniences do certainly help make life easier in some ways, constantly hunching over a screen and always being connected is doing nothing for our neck health. 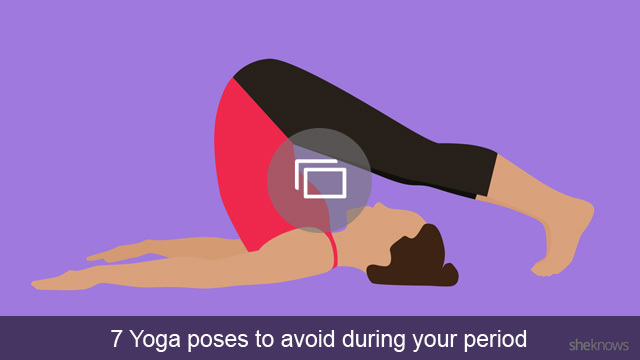 Luckily, yoga can be an easily accessible remedy to neck pain. Yoga also asks that you pay attention to your body. Often, the body pain we feel is not only the result of a technology addiction, but also a manifestation of our emotions. For example, the neck is where we hold our insecurities. When you release the pain, you are often releasing an emotional block. Paying attention to pain in your body can give you an indication of how you’re feeling emotionally. Here are some fairly simple stretches that can help you disconnect from the screen and reconnect with yourself. This stretch will help open your shoulders, which can help alleviate pain in the neck. It is also a heart opening exercise that counteracts the “concave chest” you have from hunching over at a desk. From sitting or standing, interlace your fingers behind your head. Press your head into your hands. From here, fan your elbows out to the side, and if you can draw them slightly back behind you. Don’t flare out your upper ribs here; rather, engage the abdominals to support you. If you need more of a stretch, start to raise the chest up while keeping your abdominals engaged. Your neck connects your body to your mind which makes it vulnerable to stress. This exercise is a targeted yet gentle stretch for the neck. Sit up nice and tall, reaching up through the crown of your head. Lower your chin onto your chest, and allow the weight of your head to stretch out the back of your neck. If this isn’t enough of a stretch for you, place your fingers on the back of your head, without pulling down on the head. Breathe deeply, and with each exhale let go a little more. Take five deep breaths. Sit in a chair for this one if you’re able to, and try to sit up nice and tall, reaching up through the crown of your head. Inhale deeply, and on your exhale, look over your right shoulder. Keep your torso centered and look as far behind you as you can — even with your eyes. Inhale back to center, exhale look over your left shoulder. Breathe deeply and complete four more on each side. For a more advanced stretch like this, try Heart like a Wheel. Shoulder stress affects your neck because the muscles rely on each other. If your shoulders are tense, your neck may be in a state of stress as it overcompensates. This movement helps in relieving built up tension in the upper back and shoulders. Sit or stand up tall. On your inhale, gently bring the shoulders up towards the ears, on your exhale pull the shoulders behind you and back to the starting position. Do four more shoulder rolls. Inhale the shoulders directly up to the ears, then exhale through the mouth with a quick sigh while you allow the shoulders to drop. Do three more. Another fantastic shoulder stretch to relieve the shoulders, lower back and neck from strain. A heart opening pose that will leave you feeling relaxed and centered. Roll your shoulders back and down, then interlace your fingers behind your lower back. On your inhale, try to straighten out your arms, then reach them away from the back and raise them up behind you. On your exhale, fold the elbows to the sides and keeping the fingers interlaced, bring the backs of the hands to the lower back. The ear to shoulder stretch assists in stretching muscles that are involved in the rotation and tilting of your head. These muscles can become tight and sore when you sit at a desk for long periods of time. Inhale deeply, and on your exhale, lower your right ear to your right shoulder. Inhale back to center, then exhale the left ear to the left shoulder. Do each side three more times. If you find you need more of a stretch, bring your fingertips to the side of your head, adding a little weight to increase the stretch. Originally published Feb. 2016. Updated Oct. 2016.